As you know, I am somewhat, a bit of a Jamie Oliver fan, not just because of his cooking style but because of the great work he does in food education. His main message to kids is for them to be food smart, understanding where their food comes from and what goes in their meals. 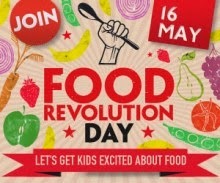 So, will you be joining us for Jamie's Food Revolution Day? 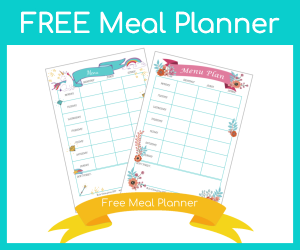 We will planning out a menu and making everything from scratch (which is what I do with most of our meals anyway!) I think we will actually be doing the meal on Thursday since daddy will be home that day, it would be nice to sit down all together, not something we get to do usually during the week. Let me know if you are joining in, I'd love to know what your kids are rustling up in the kitchen!